Ever thought about building a robot? Then you most likely want to use a microcontroller. But a microcontroller is useful for a lot of other things too – like building your own music player, or building a display for whatever project you have. Most manufacturers of microcontrollers offer development kits as an easy way to test their microcontroller. These are usually well documented and comes with support. But can be a bit pricey. This is a board that usually only have the bare minimum of components needed to get the microcontroller running. A breakout board is usually cheap, but it requires more knowledge about programmers and compilers. 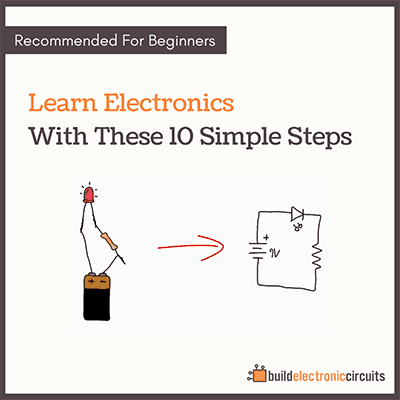 You can also buy just the microcontroller chip, and make your own circuit with it. 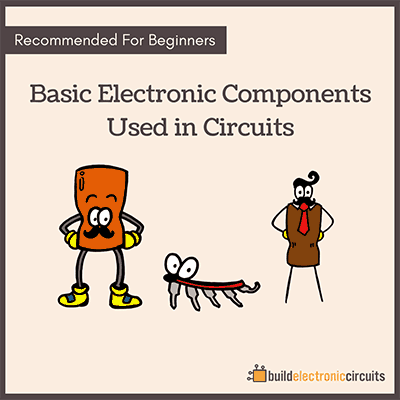 This would usually also be cheap, but it requires that you know how to build your own circuits in addition to knowledge about programmers and compilers. This is a board that is developed to make it easy to use for artists, designers and people with little technical experience from before. You don’t need to know anything about compilers or programmers, and the code is easy to understand. I started out with a development kit. 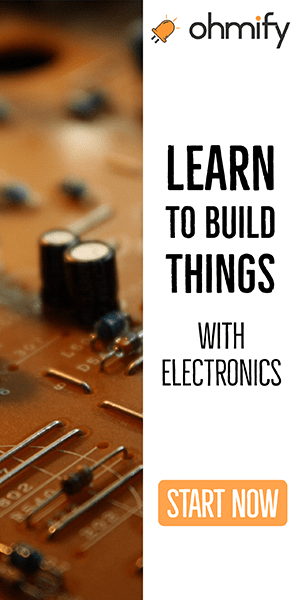 But – I recommend beginners to start out with Arduino, just because it’s so easy to get something cool up and running in no time. If you would rather learn about compilers and programmers right from the start – I would recommend trying a breakout board. 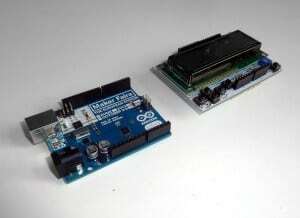 The Arduino uses the Atmel family of microcontrollers. The “PIC” family of microcontrollers by Microchip Technology is also very popular. These are high-performance RISC processors that execute most instructions in one instructions cycle (4 clock periods). Jump instructions take two instructions cycles. They contain on-chip flash program memory, RAM, EEPROM data memory, a register file, and various “peripheral” modules. Microchip makes the PICkit1 Flash Starter Kit, available from DigiKey.com for $36.00 (USD), DigiKey part number DV164101-ND. This is an entry level development kit for simple 8-DIP and 14-DIP PIC microcontrollers. Microchip also makes a PICkit2 and PICkit3 for more advanced PIC microcontrollers. 14-DIP socket for the target (user programmed) PIC microcontroller, green POWER LED, yellow BUSY LED, 8 red DATA LEDS, pushbutton switch, potentiometer, 14-pin expansion connector, and a breadboarding/prototyping area. The PICkit1 PCB connects to a PC with a USB cable (included). A CD contains an Integrated Design Environment (IDE) running under Windows with a source code Editor, Assembler, Debugger and Device Programmer. There are lots of other stuff on the CD, including a C-Compiler, Datasheets, Application Notes, example programs, Lessons, and third-party source code designs (both Assembler and C). . Using the IDE, a program may be written, assembled or compiled, downloaded to the PCB to program the target device, run and debugged. Once programmed and tested, the PIC microcontroller may be removed from the PICkit1 PCB and placed in a separate environment such as a solderless breadboard or other PCB if desired. The PICkit1 includes two unprogrammed devices – an 8-DIP PIC12F675 and 14-pin PIC16F684. The PIC12F675 contains an on-chip 4MHz clock oscillator factory calibrated to 1% frequency tolerance (it can also use an external crystal or clock source up to 20MHz), an 8-bit counter/timer, 16-bit counter/timer, (analog) comparator, 4-channel A-to-D converter, and 6 general purpose I/O pins (one is input only). The PIC16F684 includes these plus additional peripherals and pins. These devices can be programmed using either C or Assembly source code. I prefer Assembly myself, since the instruction set is very simple and easy to learn, and gives maximum flexibility. I find the PIC12F675 especially useful as an 8-pin device that can replace miscellaneous “glue” logic, counting and/or timing functions, and some analog functions using the integrated comparator and/or A-to-D converter, such as digital filters and simple Digital Signal Processing (DSP). of microcontrollers that offers as much flexibility, power and self-sufficiency in such a compact package.. I think the PICkit1 is most useful to someone who already has some knowledge and experience in electronics and would like to use a simple, low pin count microcontroller to replace a number of digital, and perhaps some analog, ICs to implement some particular function(s) with minimal space and cost.